Personalised care planning aims to ensure that people with long term conditions are more involved in decisions about their care through a care planning discussion. This focuses on what is important to them with goal setting and the provision of information and support for self care. Care planning aims to address wider, holistic needs which should open up wider choices including services to support self care or services to meet other needs such as social or psychological. The personalised care planning e-learning course has been developed on behalf of the Department of Health by NHS Employers and is delivered by Health Education England e-Learning for Healthcare. It is suitable for all health and social care professionals involved in managing a long term condition. The course is broken down into three modules to allow users to complete it at their own pace. Understand what personalised care planning is, who it’s for and why it is important. Understand the steps needed to introduce personalised care planning and the four phases of the consultation cycle. Understand the skills required to implement personalised care plans effectively. In addition there are two case studies and a knowledge assessment. There is also useful information on the common core principles for self care and a document showing the links between the core principles and the NHS Knowledge Skills Framework. 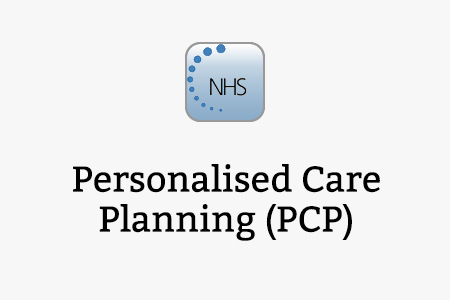 More information on Personalised Care Planning is available here. If you already have an account with e-LfH, then you can enrol on to the Personalised Care Planning programme by logging in to the e-LfH Hub, selecting My Account > Enrolment and selecting the programme. You can then access the programme immediately in the My e-Learning section. The Personalised Care Planning programme is also available to NHS healthcare staff via the Electronic Staff Record (ESR). Accessing this e-Learning via ESR means that your completions will transfer with you throughout your NHS career.